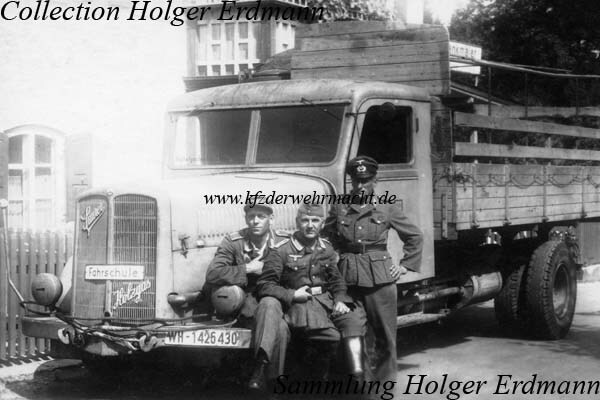 The Saurer BT 4500 was manufactured from 1941 to 1942. It was powered by a 120 HP diesel engine and it had a payload of 4.5 tons. 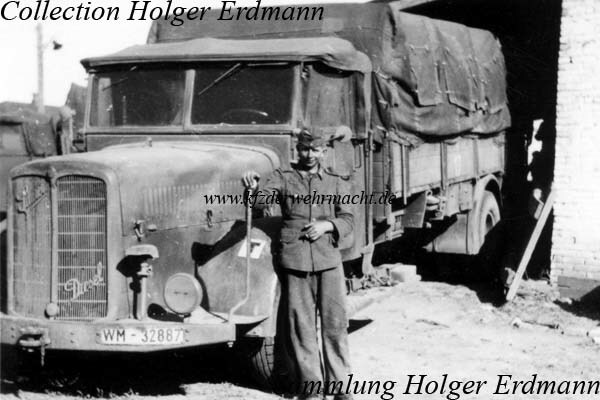 This Saurer BT 4500 had the open standard driver’s cab of the Wehrmacht. It belonged to the Kriegsmarine. The bumper is irritating, because it originates from another lorry type. Can someone identify the unit marking on the left fender? 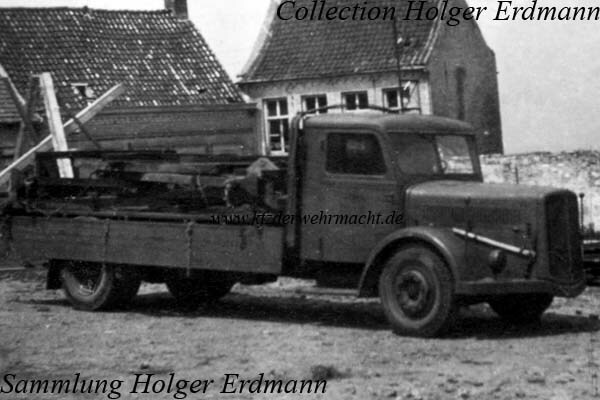 The Saurer BT 4500 was produced in series also with a wood-gas generator. The generator was located on the right side behind the driver’s cab. The other components of the generator device were neatly concealed on the Saurer BT 4500. This vehicle was used as a drivin school vehicle.